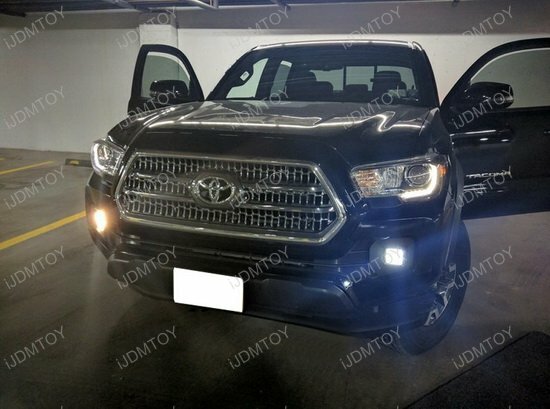 Q: What truck is this set of cube LED fog lights fit for? 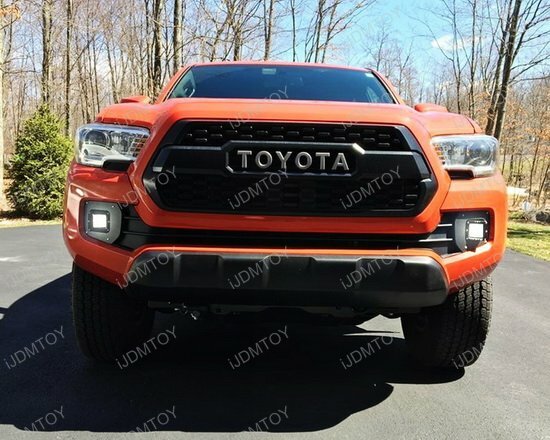 A: The pair of 20W CREE cubic LED pod lights w/ OEM fog light location mounting brackets, front covers and wiring is made to fit the 2016-up Toyota Tacoma. Q: Are the included shields designed exclusively to be set on the left and the right side? A: No, you can use each shield as a left side or right side mask interchangeably. 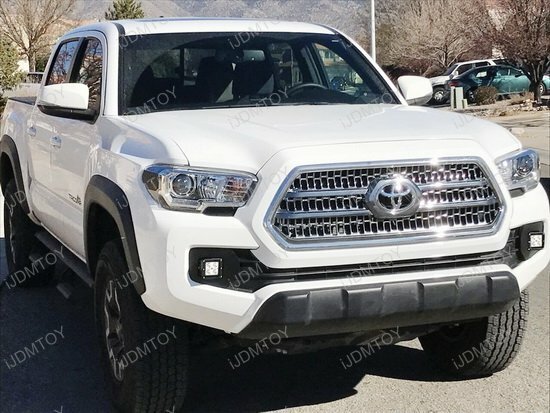 Q: Where is the relay wiring harness with switch? A: This LED podlight kit does not come with a relay wiring harness with switch. 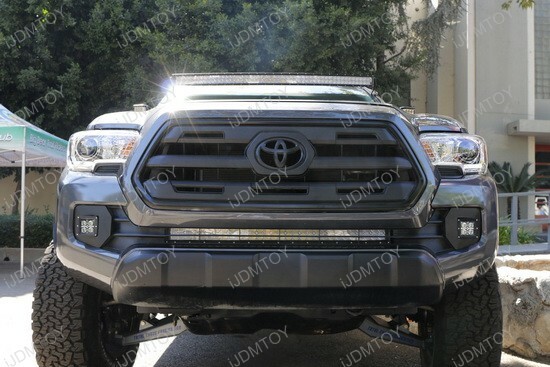 Instead, it comes included with 2 pigtail adapters so you can directly connect the LED fogs' wires to the stock harness. A: Yes, there will be some light drilling involved in the installation process. 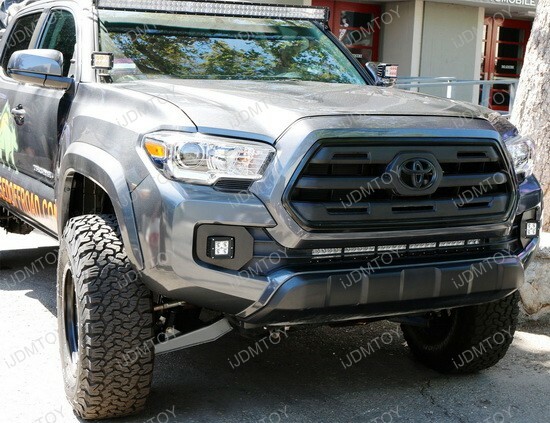 This is so you can install the included shield to cover up the lower bumper chassis for a clean look. 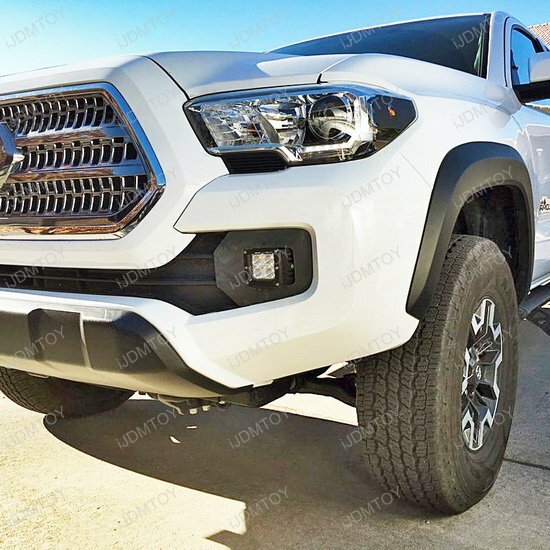 If for any reason you need to reinstall your OEM fog lights, such as the truck being leased, the holes will only show up in the back end so it will not be noticeable at all. 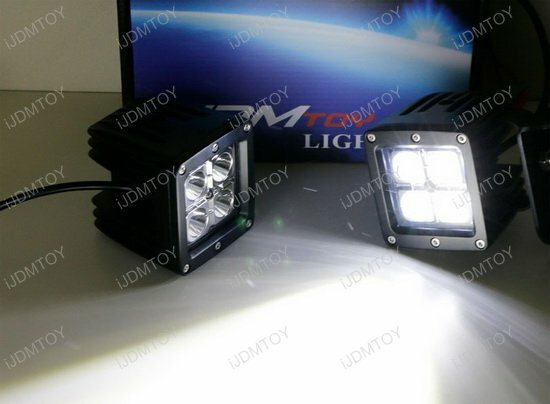 Q: How do I install these cube LED pod lights? 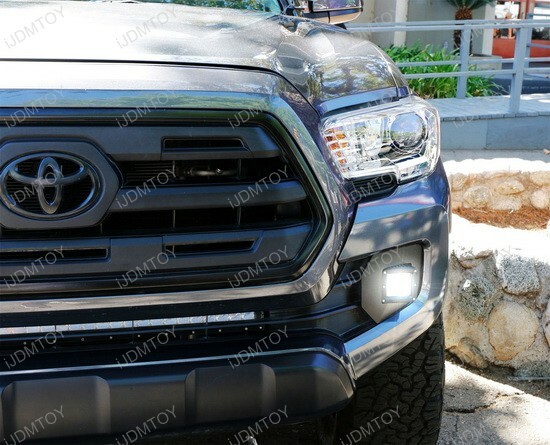 A: Please follow our guide on how to install the 20W CREE cubic LED pod lights for the 2016-up Toyota Tacoma. 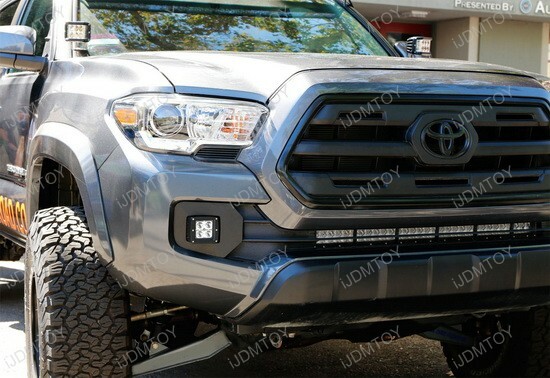 This page features the set of 20W CREE cubic LED pod lights for the 2016 and up Toyota Tacoma. 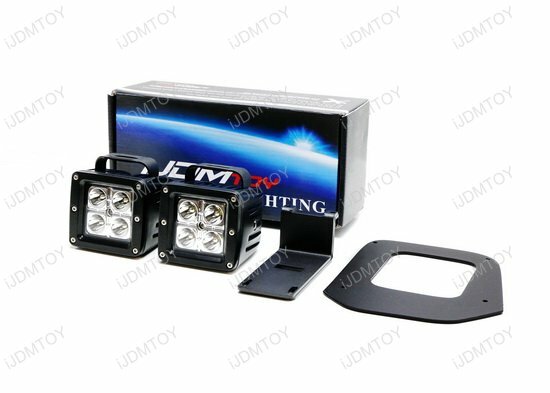 The complete kit includes (2) 20W CREE cube LED pod lamps, a pair of OEM fog light mounting brackets, front plate cover, and a wiring kit. 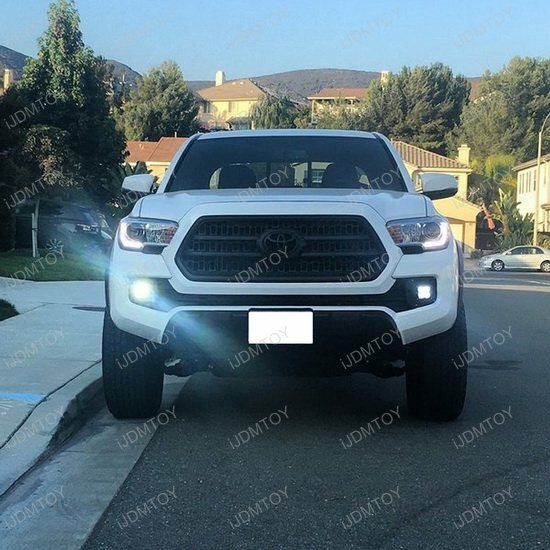 This pair of cube LED foglights are made to fit the 2016 and up Toyota Tacoma. 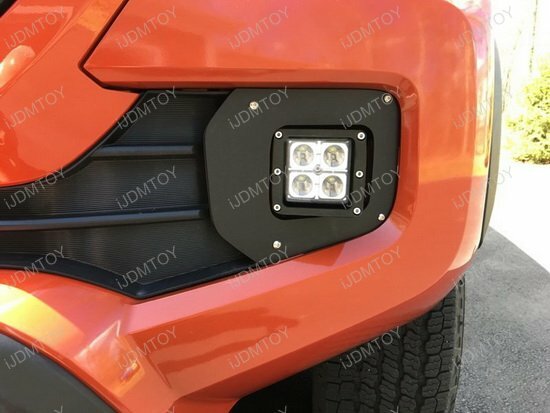 The exclusively designed custom mounting brackets make it easy to install and upgrade to the pair of LED pod lights. 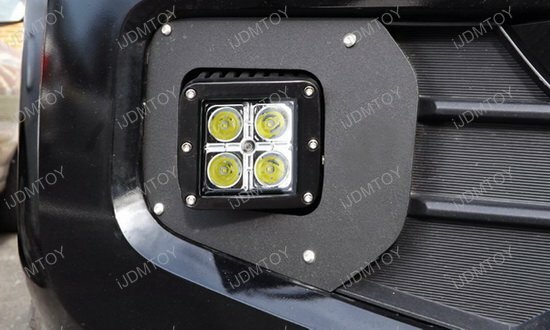 Please note that some drilling WILL be required to install the front metal covers onto the LED pod lamps. 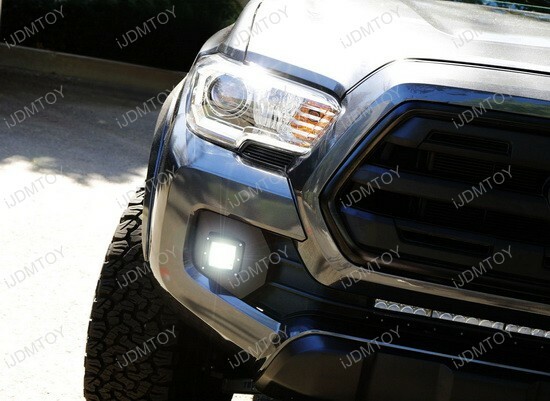 Use these cube LED pod lights for a great outdoors and offroad look that looks modern but rugged at the same time! 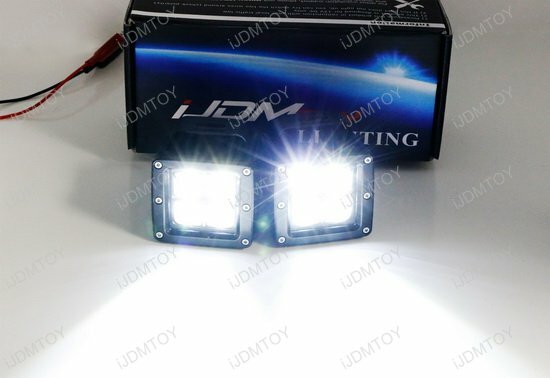 This LED pod light kit does not have wiring for non-fog models... SR trims will need to buy additional harness to get power to the fogs. 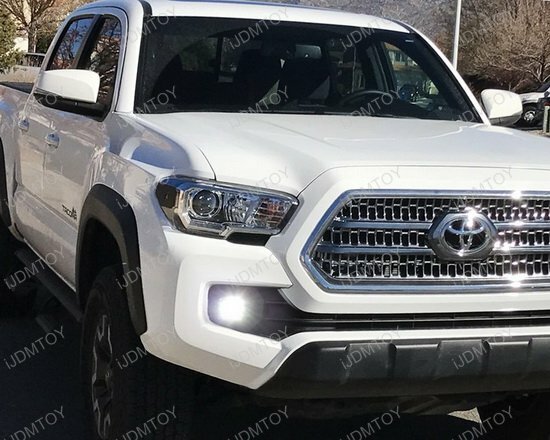 This would be a awesome upgrade for SR trims. (If the kit was complete) The materials are high quality, packaging was excellent. I got 2/3 of my purchase refunded.